Click Add and then type the following line of code, where “myField” is the name of the field you want to jump to. 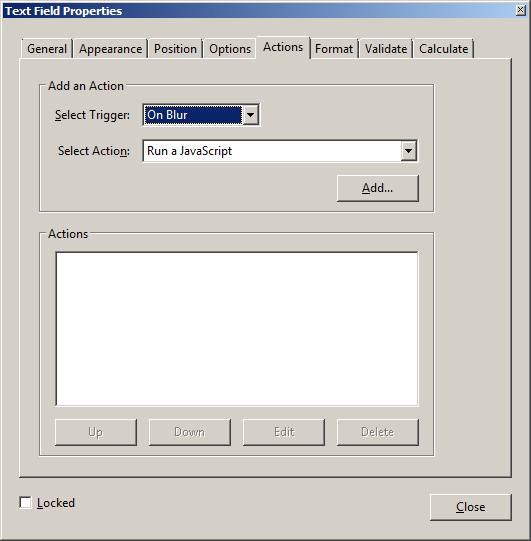 Click OK and Close in the Properties dialog. To test, simply tab through your form. This particular tip also works on comments that my be part of your form that you need to exclude from the tab order.